André studied Dutch law (KU Brabant) and graduated on International private law comparison – Product liability. After a brief foray into the culinary catering, he began his legal career with the Department of Justice in Netherlands, as a legal assistant in the function of Issuing official admission into immigration. André worked as a lawyer since 1992, previously known as the Netherlands Antilles on Curaçao. In addition to the general practice, he focused on insurance law, company law and telecommunications law, both in the advice and litigation practice. By André huisuit has the talent and the passion inherited to start to cook. But imitating his view requires also a feeling for social interest, service and precision. He experiences the rigour and the enthusiasm of his culinary hobby as a reflection of his business life. Both in the culinary world as in the legal profession should work scrupulously, pro active, and be done with enthusiasm, tailored to the needs of the client. André asked from his business activities is to participate in the Criminal Commission of the free Caribbean Football Federation [VCVF], an association which carries a social character. Our versatile team consists of dedicated and experienced lawyers. Together we are able to offer and provide for a wide range of expert legal services. 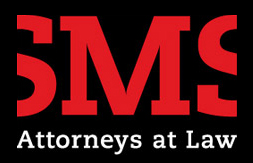 We maintain high standards of quality for our clients and for ourselves, meaning SMS Attorneys at Law has only professionals to serve you. Our lawyers are all members of the Bar Association of Curaçao and licensed to practice in the Court of First Instance and the Joint Court of Appeal of Aruba, Curaçao, Sint Maarten, Bonaire, Saba and Sint Eustatius (the former Joint Court of Appeal of the Netherlands Antilles and Aruba). We are associated with Spong Attorneys at Law based in Amsterdam and Haarlem, The Netherlands. Gerard Spong is an internationally renowned top level lawyer and was elected best criminal litigator of the year by his colleagues for several consecutive years. In the international rankings 2014 published by Chambers & Partners, SMS Attorneys at Law was mentioned based on the expertise and diversity of clients both local and international. Mirto F. Murray was one of the recommended individual lawyers on Curaçao mentioned by Chambers & Partners for his professional client service and his extensive knowledge of the local market. SMS Attorneys at Law joins IR as the exclusive Corporate Law Member in Curaçao.